With the Turkish Lira surging in recent months, largely on the back of recent dollar weakness coupled with lack of Turkish economic horror stories, it had been a while since we got a reminder that Turkey is now a truly authoritarian state in which president Recep Tayyip Erdogan is the country's de facto dictator, having been granted virtually unlimited executive powers last year. On Tuesday, we got just such a reminder, when Erodgan escalated his campaign to seize the nation’s largest listed lender, Turkiye Is Bankasi, when he urged Turkey's puppet parliament to vote for the takeover according to Bloomberg. 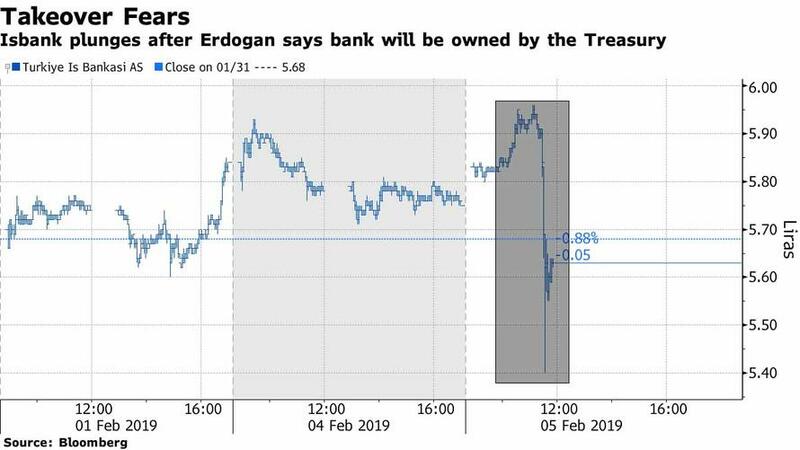 Shares of the bank, which is partially owned by Turkey's main opposition party, tumbled after Erdogan told his ruling AK party’s lawmakers in Ankara on Tuesday that "Isbank will become the property of the Treasury, with the permission of God." While the opposition CHP party, which has been repeatedly targeted by Erdogan in the past, doesn’t get any dividends from its 28% stake in Isbank, Erdogan accuses it of "exploiting" the memory Mustafa Kemal Ataturk, the father of modern Turkey, who bequeathed Isbank shares to the party he created in his will. Erdogan, always eager to nationalize any valuable asset so it can then become part of the Erdogan family empire, has contended that what once belonged to the nation’s founder shouldn’t be owned by a political faction, especially not one which opposes him. Naturally, any ad hoc nationalization by Erdogan of a major financial institution would lead to market chaos and flight of foreigners from the emerging market; predictably Isbank has said in the past that any effort to nationalize it would amount to a financial crime. Meanwhile, CHP has so far resisted Erdogan’s demands to give up its equity stake and its four seats on the bank's board although it may have no choice but to comply with the "parliament's" wishes. And while the AK party lacks the parliamentary majority needed to unilaterally change the laws on the bank’s ownership - for now - according to Bloomberg Erdogan suggested its junior partner in the assembly, the nationalist MHP, would support his legislative efforts to enable the unprecedented takeover. Isbank shares plunged as much as 6% following Erdogan’s comments and were trading 1.2% lower as of 1 p.m. in Istanbul. The Turkish lira, which inexplicably continues to surge despite Turkey's ongoing episode of rampant inflation, also trimmed gains, trading 0.2% higher at 5.2067 per dollar. 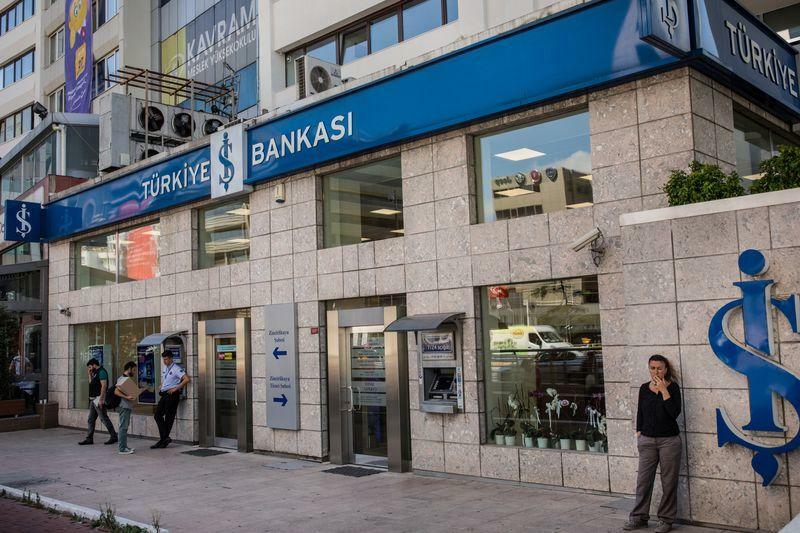 To be sure, there is a reason why the market may be taking Erdogan's threats as hollow, which may reflect an effort to energize his base before municipal elections in March: it’s not the first time he has vowed to take over Isbank. In fact, his aides first began floating the idea of nationalizing Isbank in 2015. While so far the bank has resisted Erdogan's nationalization push, all it takes is for one time to be different.